Flipper inventory continued to show an overall increase at about the same rate as the rest of the market over the last week. 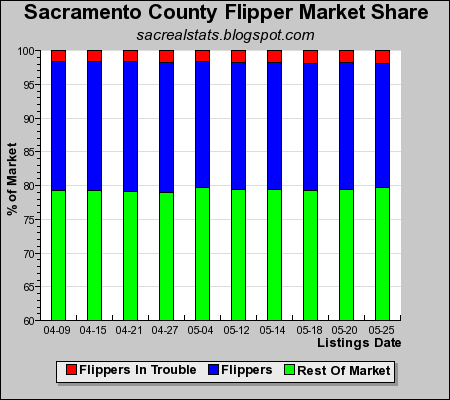 In Sacramento County, flippers of resale homes represented 20% of the total market, including 2% who are losing money. 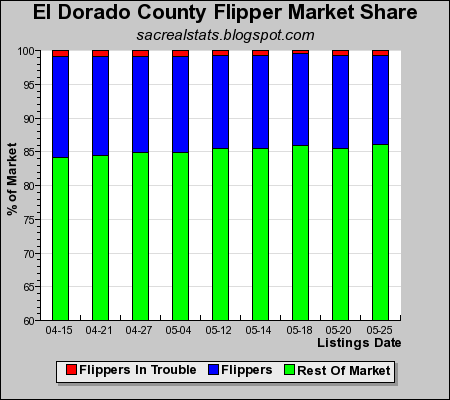 El Dorado County is showing a downward flipper trend even as overall inventory levels are increasing. Inventory has gone up by 24% since April 9, while flipper inventory has only increased by 10%. 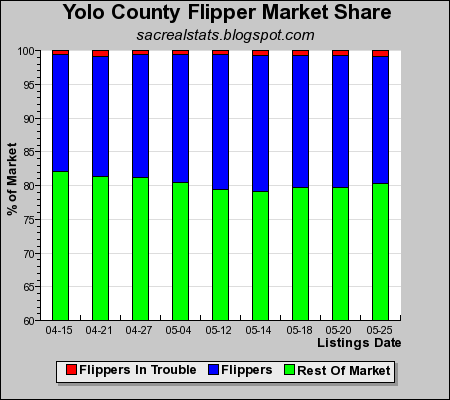 This has led the flipper market share to decrease to 14% from 15% during the same time period. 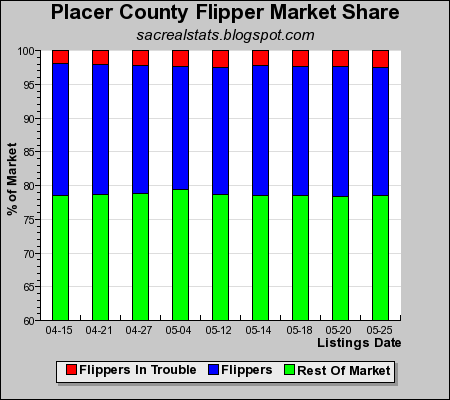 Flipper inventory in both Placer and Yolo counties continued to increase along with market inventory, with each showing a 21% flipper market share. How do you identify flippers from non-flippers? I would have more confidence in your data if I knew how you arrived at it. I like your site lay out. You have a lot of interesting information here. I do appreciate the time and effort you took in creating it. Thank you. I define a flipper as somebody who is selling a house now that was sold before within the last two years.